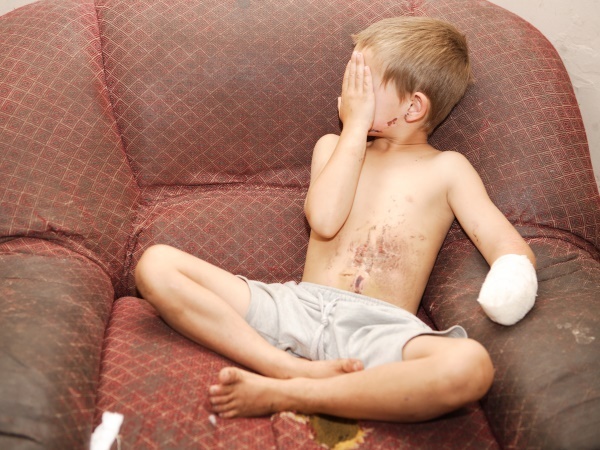 Kosie's hand was blown apart when he accidentally set off a firecracker he had found in his sister's bedroom. He is very afraid of the dark and is embarrassed about his hand and fingers that came off as a result of the firecracker. “He doesn’t really want to play with his friends and he’s very anxious," Kosie Wessels' mother says. "He sits with his hand in his mouth the whole time and chews on his shirt. It’s because of his nerves,” says Caroline (40). Kosie (7) and his sister Bianca Wessels (11) were playing in and around their house in Polokwane on 3 September while their mother cleaned up. By the afternoon Bianca had gone to her grandmother who lives in a flat on the same property. Kosie found a firecracker in his older sister Annabelle Strydom’s (17) room. Her room was usually locked but was open that afternoon because their mother wanted to clean up. With the firecracker in his left hand and matches in the other Kosie went to the lounge. He lit the firecracker and it exploded in his left hand. Stitches on the inside of his hand have just recently been removed, his hand was also cleaned and scabs were removed after anaesthetic numbed it. And in two or three weeks Kosie will need to be at the doctors again. “If his hand doesn’t get better, a transplant will need to be done,” said Caroline over the phone from Polokwane. Kosie is also still receiving psychiatric treatment. “He is very restless,” says his mother. He hasn’t returned to school at Piet Hugo Primary school where he is enrolled for grade one. “His little arm is not better yet – he can easily knock it and the wound is still bleeding,” says Caroline. A prosthetic is on the cards for Kosie, but only once the wound has healed completely.